All that Remains - "The Fall of Ideas"
All the Remains hail from Massachusetts and play a strange mix of death metal meets Queensryche or something. This is the bands second CD and a strange mix of battery ram drumming, death vocals, melodic guitars, heavy guitars and melodic singing. Seems this is the flavour of the year as Mastadon, Trivium (ok, they are like Metallica clones), Chimaira, etc, all mix these very melodic parts with raging metal and death vocals that you can't hardly understand a thing. These guys have all the melodic dual guitars you would hear on the Dream Theater, Queensryche and going back to Thin Lizzy days type guitars. What do they offer that is different? I am not sure. I heard the CD a few times and could not remember a single song. I guess if you are into Mastadon and the lot then you will probably dig this as well. It was not for me. 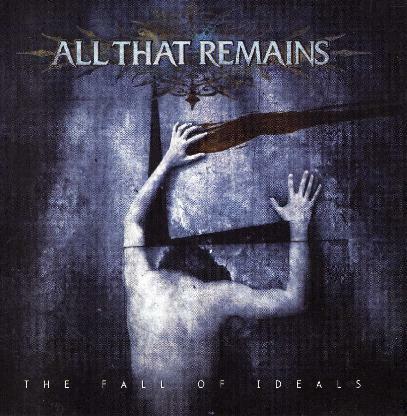 For more information you can visit the All That Remains web site at: http://www.allthatremains.cc.